Created by Tōru Iwatani, who got the idea for Pac-Man from looking at a pizza with a slice removed. 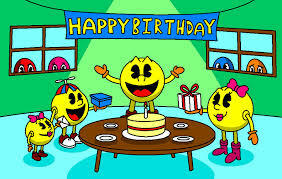 On 22nd May 1980, Namco released Pac-Man into arcades in Japan. Making today (22/5/2015) Pac-Man’s 35th Birthday. While the idea to create Pac-Man did come from a pizza with a slice missing, creator Tōru Iwatani has also said the idea came from simplifying and rounding out the Japanese character for a mouth, kuchi. Pac-Man was originally going to be called Puck-Man, which comes from the Japanese folklore character Paku who was known for his appetite. 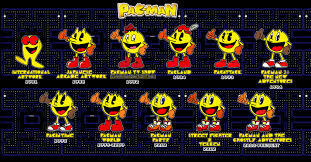 But when Namco licensed the game to be released in the United States, they changed the character’s name to “Pac-Man” after worrying that vandals could easily change the P in Puck to an F on the arcade cabinets. Pac-Man has had an illustrious career over the last 35 years with a total of 34 games and spin-offs in the Pac-Man franchise from 1980-2015, as well as Pac-Man himself making cameos in various other games like; Kick (1981), Mario Kart Arcade series (2005-2013), Everybody’s Golf 6 (2011), Street Fighter X Tekken (2012) and even Super Smash Bros. (2014). Often shown as being a family man with his wife Ms. Pac-Man who is also known as Pepper (why is she Ms. if she’s married?) and their two children one boy and one girl, plus Pac-Man can sometimes be found with the family dog; Chomp-Chomp or even the cat named Sourpuss. While very much a family man, Pac-Man still enjoys his adventures and is often depicted with a voracious appetite for pellets and power pills. Pac-Man was the very first and original gaming mascot. With Pac-Man being plastered on posters, lunchboxes, mugs, keyrings, clothing and many, many, many other merchandise…including packs of stickers that would come with a scratchcard Pac-Man game and a piece of bubble gum that tasted like cough medicine. Anyone remember those? According to the Davie-Brown Index, Pac-Man has the highest brand awareness of any video game character ever among American consumers. With Pac-Man being recognized by 94 percent. Pac-Man may be 35 years old, but he’s showing no signs of stopping and still appearing in games today, whether they be Pac-Man centric or him just showing up as a cameo. 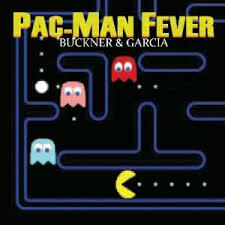 But not content with just sticking to the games, Pac-Man also featured in a hit single with; Pac-Man Fever (Buckner & Garcia) released in December 1981 and it went on to reach number 9 on the Billboard Hot 100 in the United States in March 1982. While at the same time, it was certified Gold by the Recording Industry Association of America for having over 1,000,000 units shipped to retailers. The single sold 1.2 million copies by the end of 1982 and a total of 2.5 million copies. VH1 even ranked it at number 98 on their list of 100 Greatest One Hit Wonders of the 80s. 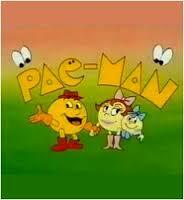 Pac-Man’s music career aside, he has also appeared on the small and big screen. Pac-Man the animated series was produced by the legendary animation production company; Hanna-Barbera and originally aired 1982 to 1983 for 2 seasons. It holds the distinction of being the very first cartoon based on a video game. 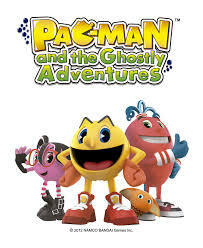 Pac-Man would return to the small screen in; Pac-Man and the Ghostly Adventures this time computer animated. It is produced by 41 Entertainment, Arad Productions Inc and first aired June 15, 2013 on the Disney Channel in the US. There was even a video game made based on this show…yes a show that was originally based on a game, turned into a TV show and then turned into a game. Pac-Man has also been shown and referenced in other TV shows like; The Simpsons, Futurama, Tiny Toon Adventures, South Park, Family Guy, Robot Chicken and Drawn Together. But Pac-Man has also appeared on the big screen making cameos in films such as; Tron, Wreck-It Ralph and will also appear in the upcoming film; Pixels. Pac-Man also had his own children’s play area in the Six Flags Over Texas theme park from 1983–1985 a board game and even his own official restuarant. Pac-Man has had a big and varied life for sure and he’s is still going today. There’s even more Pac-Man in my Pac-Man overview of the original arcade game as well as a multi-part retrospective look back at the entire Pac-Man gaming franchise. This entry was posted in LBoG: Characters and tagged LBoG: Characters, LBoG: Game Overviews, Little bits of gaming, Namco, Pac-Man, retro gaming, Retro gaming blog on 22/05/2015 by Steve Perrin.